When you’re pregnant, you need to eat more to help your baby develop. However, this does not mean you can eat anything you want. Pregnant women should eat foods that are rich in nutrients like protein, calcium, folate, and iron. Since you’re eating for two, you’ll need more calories per day. According to the American Dietetic Association (ADA), pregnant women should consume an average 2500-2700 calories per day, or about 300 calories more per day than non-pregnant women. If you’re plan to breastfeed your baby, you’ll need even more calories per day. The best way to meet you and your baby’s nutritional needs is to eat a variety of nutritious foods. By eating a variety of foods from all five food groups (grains, fruits, vegetables, dairy products, and meat & beans) will ensure that your baby grows healthy and normally, both physically and mentally. Calcium is very important for all women, particularly pregnant women. It helps keep bones healthy and strong. During the third trimester of pregnancy, your baby needs a large amount of calcium as they begin to develop and strengthen the bones. If you’re not getting enough calcium in your diet, the calcium needed by your baby will be taken from your bones, which put you at greater risk of developing osteoporosis. To prevent the risk of osteoporosis later in your life, make sure you get enough calcium in your diet. The recommended daily intake of calcium during pregnancy is 1000mg to 1300mg per day. Two cups of low fat milk should meet your daily needs. Other sources of calcium include soy milk, yogurt, orange juice, cereals, dried beans, nuts, tofu, and dark green leafy vegetables like spinach, kale, and broccoli. If you can not get your calcium needs through diet, taking calcium supplements. During pregnancy, your body needs more iron to supply red blood cells for both you and your baby. The growing baby also stores iron for use after birth. This increases the iron needs for pregnant women. The recommended daily intake of iron during pregnancy is 27mg per day. The iron needs decrease after birth, but women who are breastfeeding still need about 10 mg a day. Iron is available in fish, red meat, poultry, eggs, whole grain products, beans, nuts, dried fruits and green leafy vegetables. Iron in the egg and plant sources are not as easily absorbed as iron from animal sources. However, you can increase the iron absorption by eating foods that are high in vitamin C such as citrus and orange juice. You also need to watch out for coffee, tea, and cola as they can reduce the body’s absorption of iron. Folate or Folic acid is a B vitamin that is required to build protein tissues. All pregnant women need an adequate intake of folate because it helps prevent birth defects such as spina bifida and other neural tube defects. The U.S. Health Public Service and the March of Dimes recommend that pregnant women should consume 600 mcg of folic acid every day during the first three months of pregnancy. If you have a family history of neural tube defects, you may need even more folate. Your doctor will prescribe a prenatal vitamin that contains the right amount of folic acid. It’s also important to eat foods that are naturally rich in folate. Folate-rich foods include eggs, breads, beans, cereals, nuts, orange juice, and green leafy vegetables (such as broccoli, spinach and salad greens). Check the nutrition information panel on the package to find out how much folate is present. Protein is found in many foods. It helps maintain muscle, blood supply, and baby’s tissues. Pregnant women should take about 70 grams of protein per day. Foods such as fish, lean meat, poultry, dairy products, and nuts are good sources of protein. Vegetarians can meet their protein needs by eating soy products like soybeans, soy cheese, soy milk, soy yogurt and tofu. Soy protein foods are the only source of complete protein for vegans and thus are an important part of the diet-to-be mom’s. Other protein-rich vegan foods include nuts, hummus, and beans (chickpeas, navy beans, red kidney beans, etc). 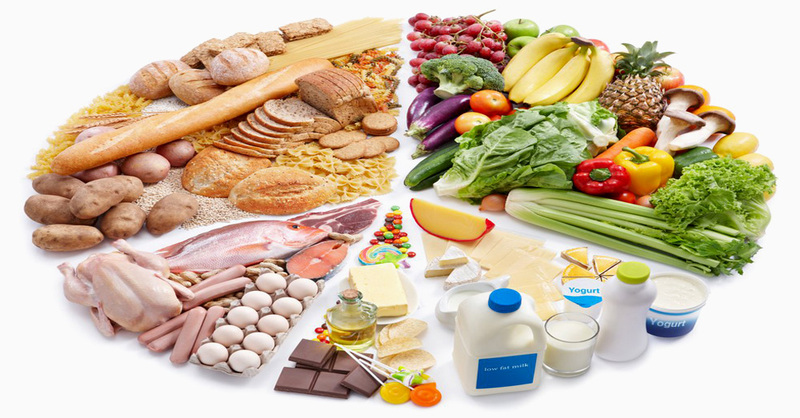 Carbohydrates and fats are also important nutrients for pregnant women. They provide the energy needed for daily activities. Most importantly, these nutrients are needed for proper baby’s development. The 2005 Dietary Guidelines for Americans recommend that 20 to 35 percent of daily calories should come from fats, mainly found in butter, cooking oils and dairy products, and 45 to 65 percent of daily calories should be derived from the carbohydrate group (bread, rice, pasta, corn, and potatoes).